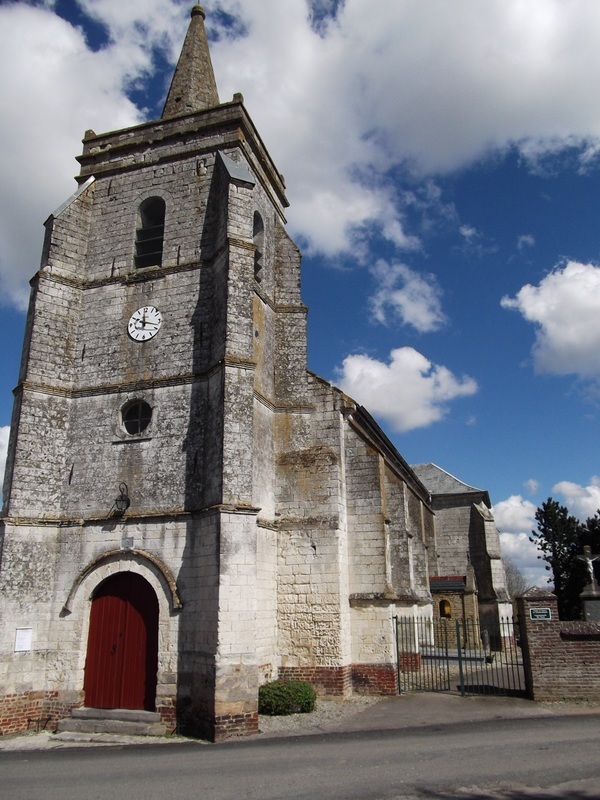 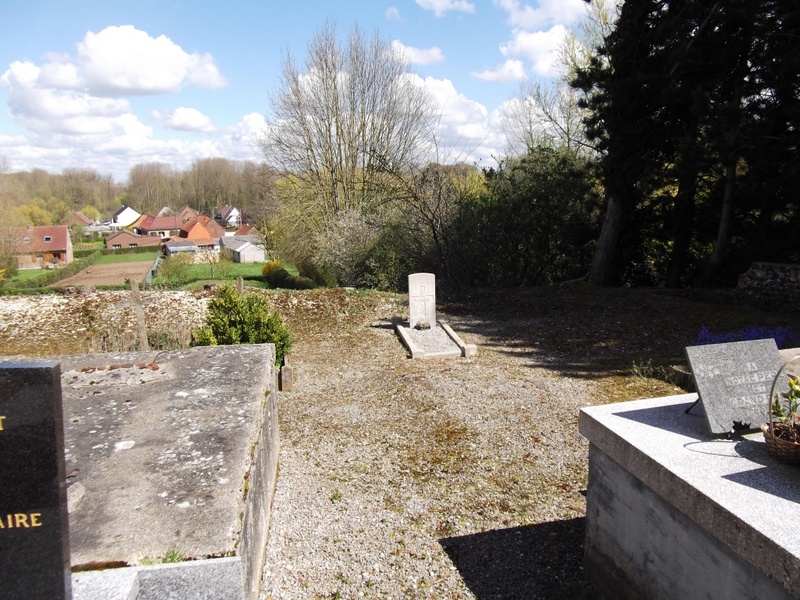 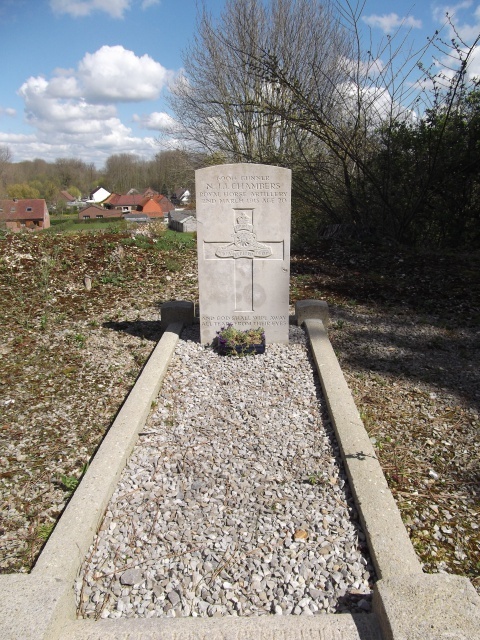 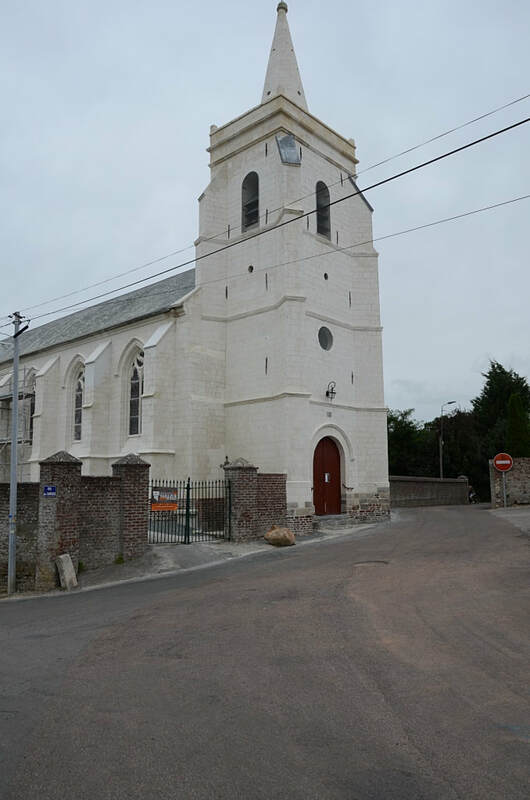 Mametz is a village in the department of Pas de Calais some 18 kilometres south-south-east of St Omer on the D157, between Aire sur la Lys and Therouanne. 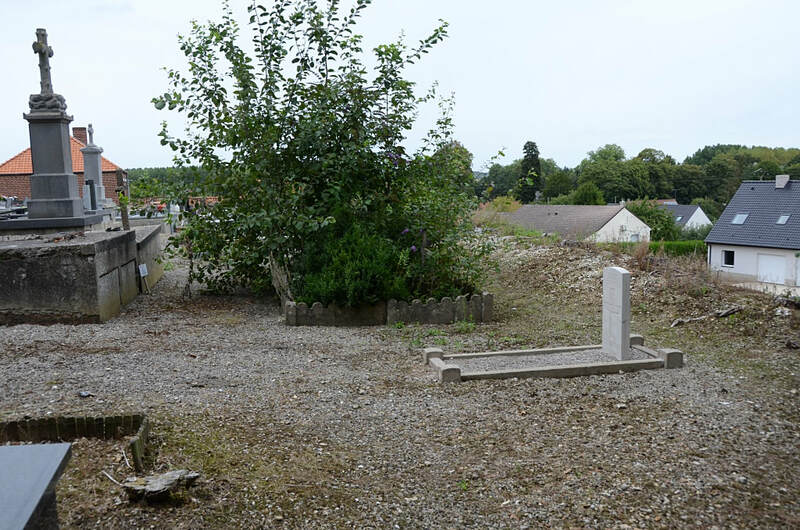 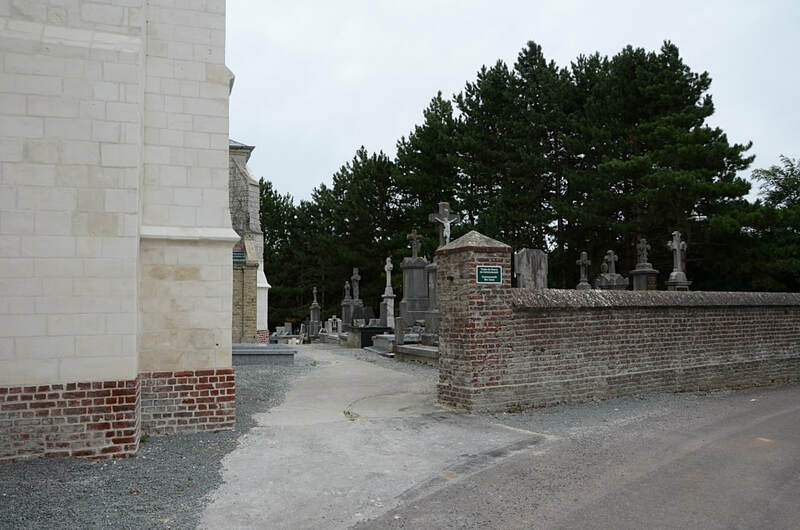 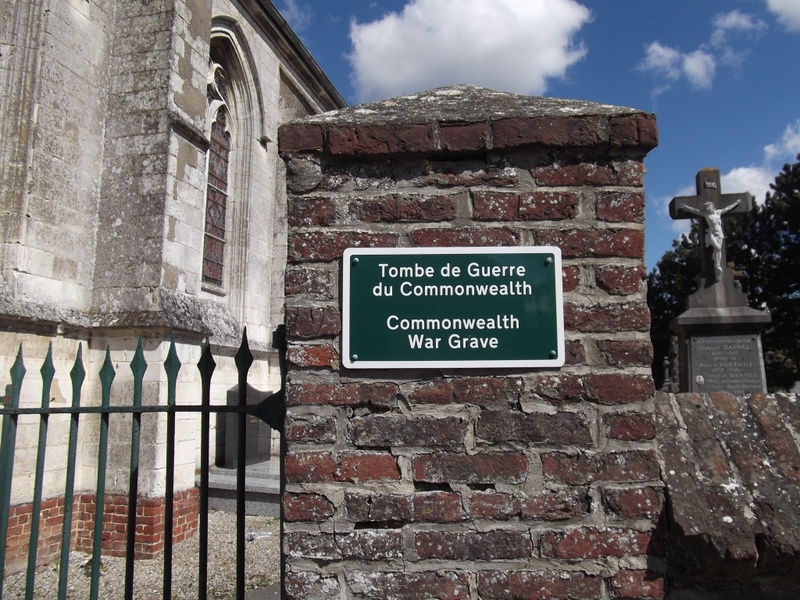 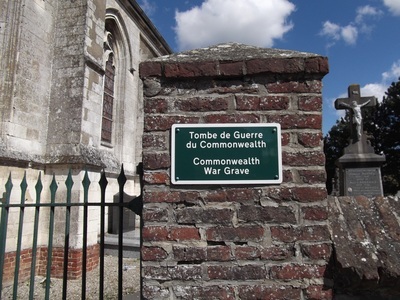 The Cemetery is in the centre of the village and the one war grave is situated in the east part of the churchyard. 69014 Gunner N. J. J. 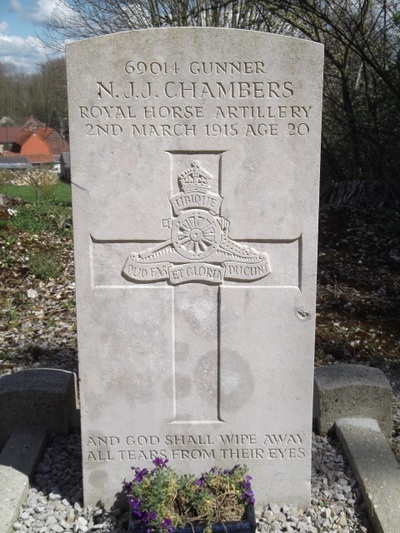 Chambers, V Battery, Royal Horse Artillery, died 2nd March 1915, aged 20. 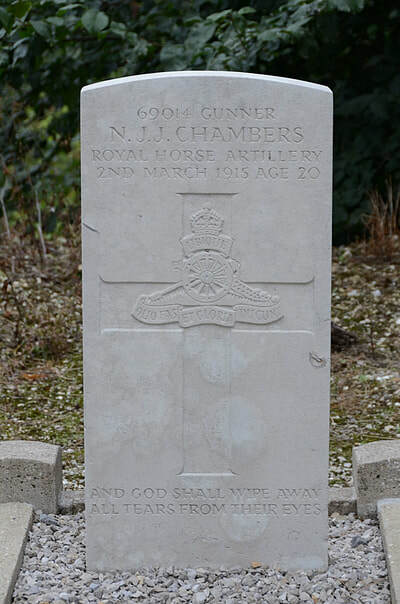 Son of N. A. R. Chambers.